[ARCHIVED THREAD] - SiteGlo Paint? Anybody have experience with SiteGlo paint? Does it work as advertised? It needs to be "recharged" (exposed to light) before it produces any significant glow at night - and the glow gets drastically dimmer just a little while after light exposure. 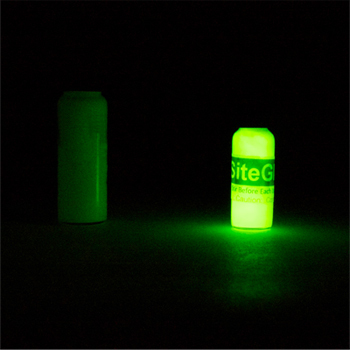 It's a compromise - The phosphorescent (night glow) pigment dilutes the fluorescent (day-glow pigment). So, it isn't as bright as pure day-glow pigment in the daylight, and isn't as bright as pure phosphorescent pigment at night. Suggestion: Unless you really need your sights to glow (faintly) at night, try using fluorescent nail polish instead.